There have been whispers of a merger between Vodafone Hutchison Australia (VHA) and TPG in the wind over the last few days, but those rumours have now been confirmed. The two telcos have announced today that they have decided to enter into a “merger of equals transaction to establish Australia’s leading challenger full-service telecommunications provider”. Looking for a new plan? Compare mobile phone plans and broadband plans from over 43 different providers. The ‘merger of equals transaction’ is how the shares have been divvied up – Vodafone shareholders will own 50.1% of the shares in the new company, and the rest 49.9% will be held by TPG shareholders. Vodafone and TPG coming together joins more than 27,000km of fibre and 500 mobile sites across the country, with more than 6 million mobile users and 1.9 million fixed-line customers. Yet, there are no plans to make any changes, at least for now. Vodafone’s chief commercial officer, Ben McIntosh, said that it would be “business as usual for customers”. Vodafone customers will continue to use their current plans, upgrade or change them, and will continue to enjoy “$5 Roaming, no lock-in handset contracts, 35-day prepaid expiry, and NBN Instant Connect and 4G Backup”. 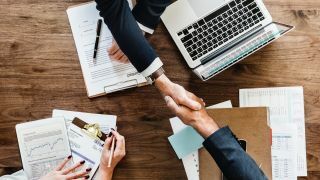 While the merger has been given informal approval and has been announced at the ASX, the companies will also need to be formally approved by the Australian Competition and Consumer Commission (ACCC) and the Foreign Investment Review Board as well.